Need More Space? Looking for a Private Pool? 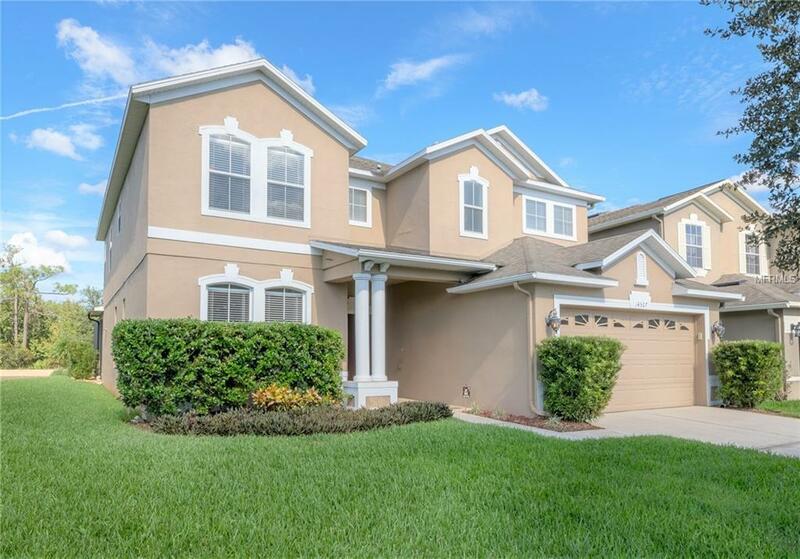 This 5 Bedroom, 3 Bath Stoneybrook Reserve home may be a perfect match... Built in 2004 on Water and Conservation; the current owner built an outstanding pool and spa combination in 2016... Your Salt Water Pool is heated for year-round use with an energy efficient heat pump and the spa heats quickly with a separate gas heater, all electronically controlled with your smart phone. (an added bonus... a separate gas line was run for a fire bowl to enhance your night time swim) The 3300 sq./ft home has 4 bedrooms upstairs... one large enough to be a bonus room. The Kitchen is open to the family room and it has been updated with Espresso Cabinets, Granite and Stainless Steel appliances. The master bedroom overlooks water and conservation with a very large master bath updated with granite counters and a huge walk in closet... This Gated Enclave has a private walking and biking trail leading back to the Jr. Olympic pool, lighted tennis courts, and fitness center. You will enjoy all the Stoneybrook amenities as well as Cable TV and High-Speed Internet. This home is an excellent value... make sure you put this home on your list.